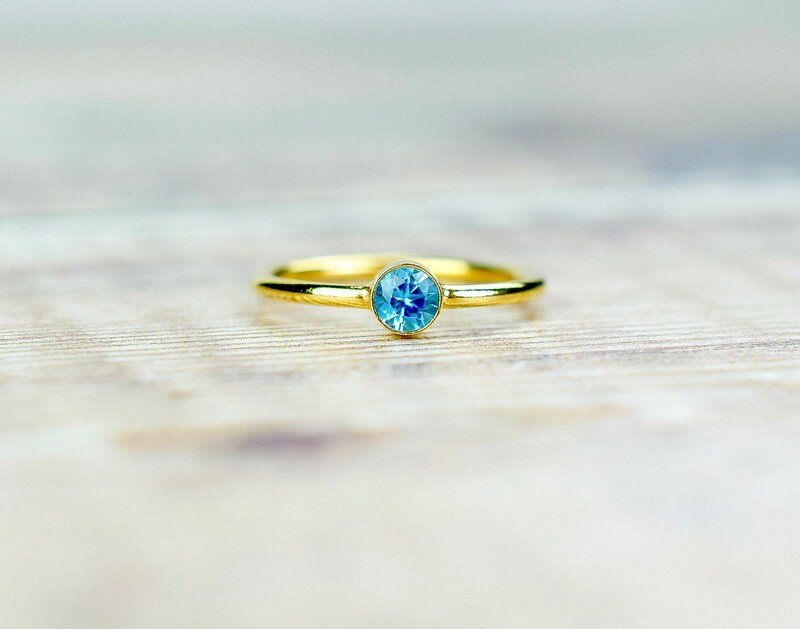 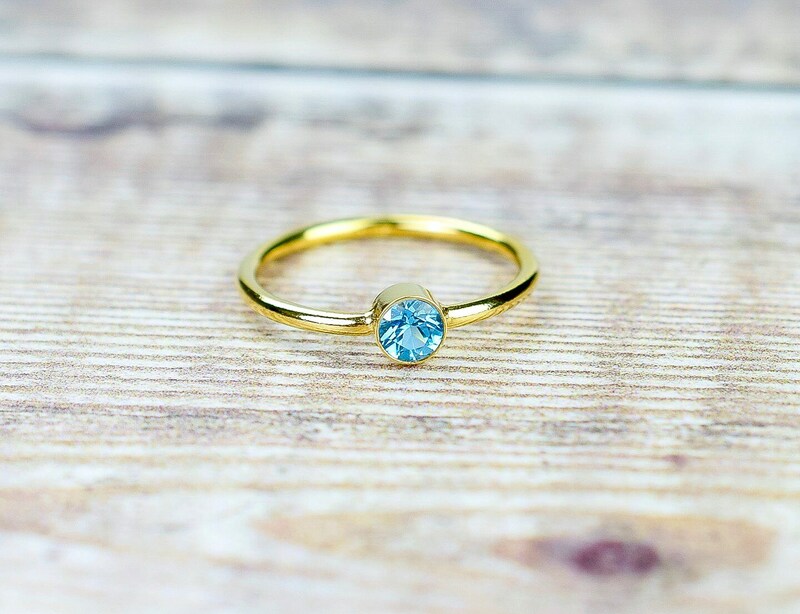 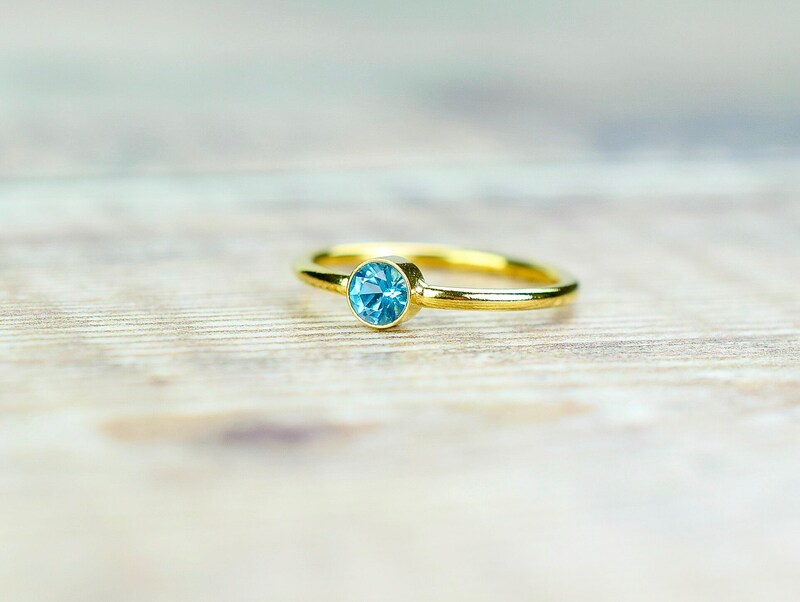 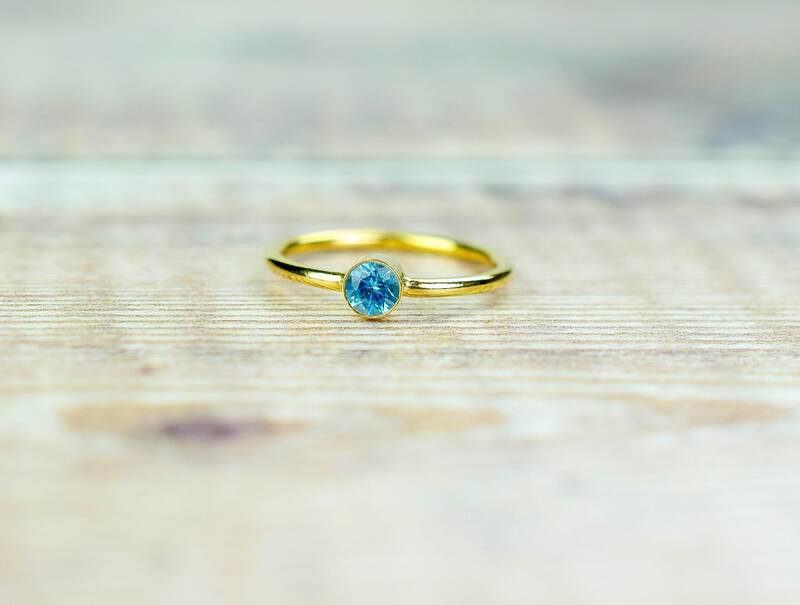 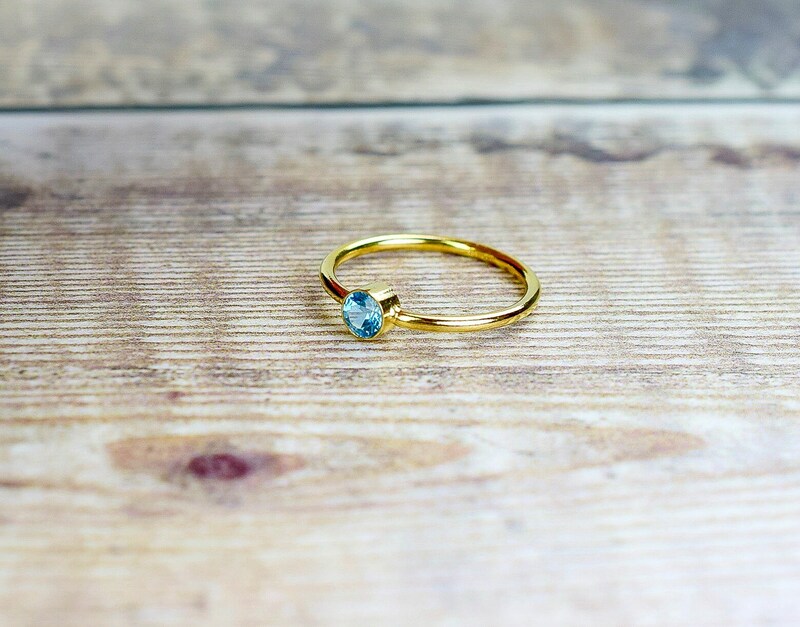 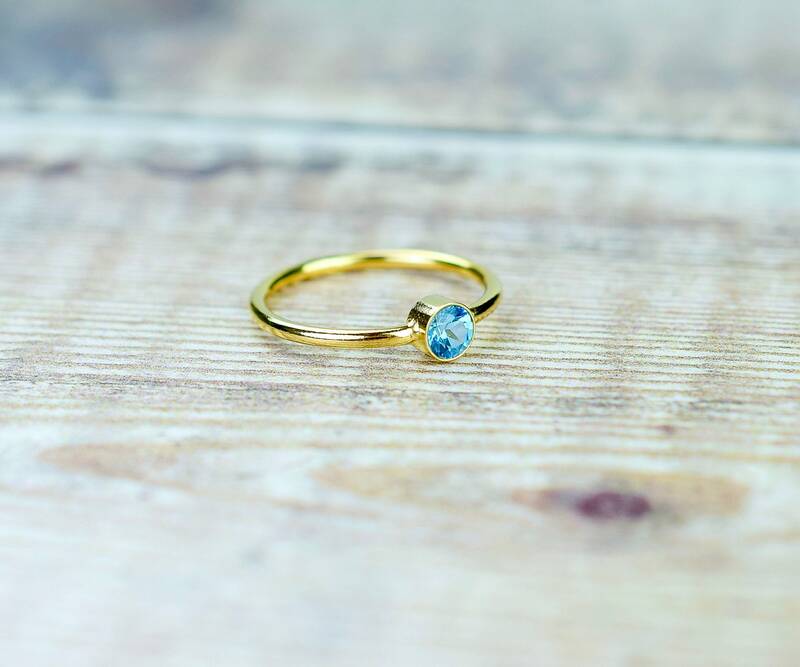 This beautiful 14k gold filled gemstone ring has been set with a 4mm AAA quality vibrant Swiss Blue Topaz gemstone. 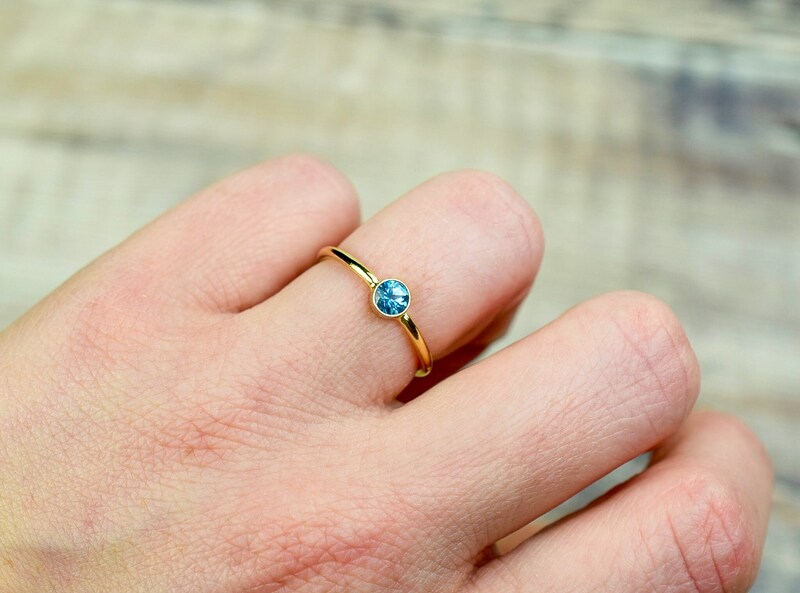 This ring looks beautiful when worn alone and looks really special when it is stacked with other rings, see the pictures above. 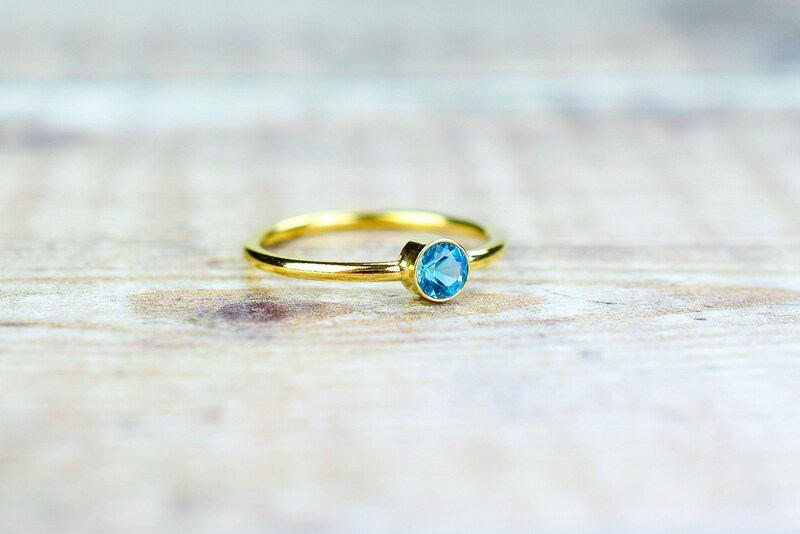 * The gemstones are AAA quality. 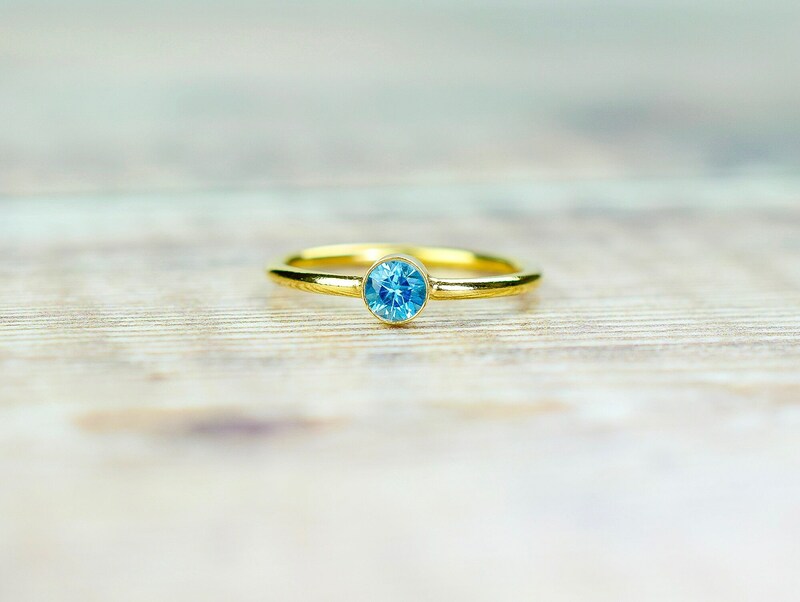 Rings are hand set by me using traditional stone setting techniques.